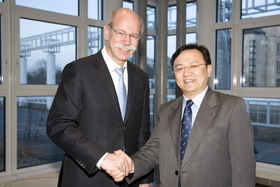 “Our new joint venture is well positioned to make the most of the vast potential of electric mobility in China,” Daimler CEO Dieter Zetsche said in a statement today. Daimler, the world's second-largest manufacturer of luxury cars, and BYD Co. Ltd., the Chinese automaker backed by billionaire Warren Buffett, completed their deal today to set up a 50-50 joint venture to develop electric cars in China. 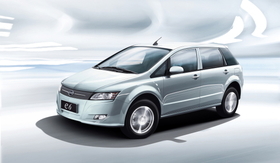 Daimler and BYD plan to invest 600 million yuan ($88 million) in the venture. The companies originally announced plans to form the partnership on March 1.